Slopestyle snowboard star Jenny Jones has her heart set on Japan — and maybe you should, too. Jones shares her reasons for her love of Japan with the UK’s Telegraph. Reason number one: the powder. “Japan’s north island of Hokkaido is legendary for both the quantity and quality of snow that arrives like clockwork each winter. Its secret is perfect geography — cold air from Siberia rolls over the Sea of Japan, soaking up moisture then dumping it all over the mountains,” she says. If that’s not cool enough, what about riding at night? “The lights penetrate pretty far into the forest, so the dreamlike experience of riding powder through the trees awaits the adventurous,” says Jones. And après ski is pretty cool, too. “There are few pleasures in life greater than slipping into an onsen. These natural hot spring water pools may be indoor or outdoor, and are the perfect antidote to tired muscles and after a hard day on the hill, this is the fastest route to a state of zen-like calm and bliss,” says Jones. 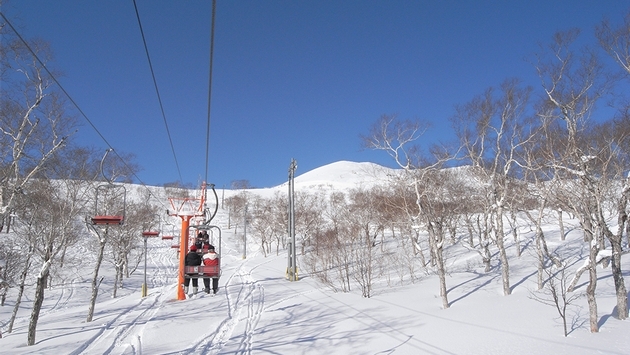 Need more convincing about why Japan is so awesome for snowboarding? Read on here.